As of yesterday, Articuno is no longer available in Pokémon Go. Instead, the fiery Moltres has started spawning in gym raids across the globe. Given that Moltres will only be around until August 14th, here are some tips for tracking it down and capturing it. It will not, however, help you find buddies to take monsters down, so plan accordingly. Don’t make the mistake of travelling somewhere just to find you’re the only schmuck trying to take down a powerful beast; you need at least a few people to properly take Moltres down. I live in Brooklyn, which is densely populated, and I still had trouble randomly finding enough folks for raids, so your mileage might vary. 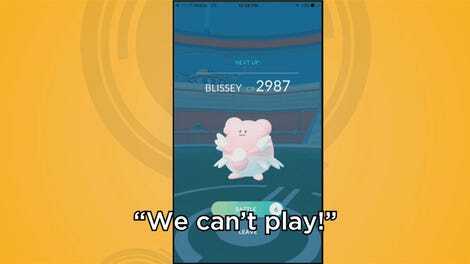 If you don’t have friends playing the game, most major cities have Facebook groups full of eager fans also wanting to take down legendaries, so reach out. As we’ve detailed before, one of the top counter-picks for Moltres is Golem, because it is a rock/ground type that resists the fire bird’s flying and fire-type attacks. Golem’s ideal moveset—Rock Throw, Stone Edge, or Rock Blast—is also super effective against Moltres. And of course, like before, Tyranitar, with its Rock/Dark-type, can also be mighty helpful here, so long as you’re packing Stone Edge as well. Beyond that, you probably won’t be surprised to hear that good picks are water types like Omastar (Rock Throw, Rock Slide), Vaporeon (Water Gun, Hydro Pump) and Gyarados (Dragon Tail, Hydro Pump)—all of which are resistant to Moltres’ fire attacks. If you have any of these, you might want to break out the Stardust for some power-ups, if not tweak some movesets with TMs.